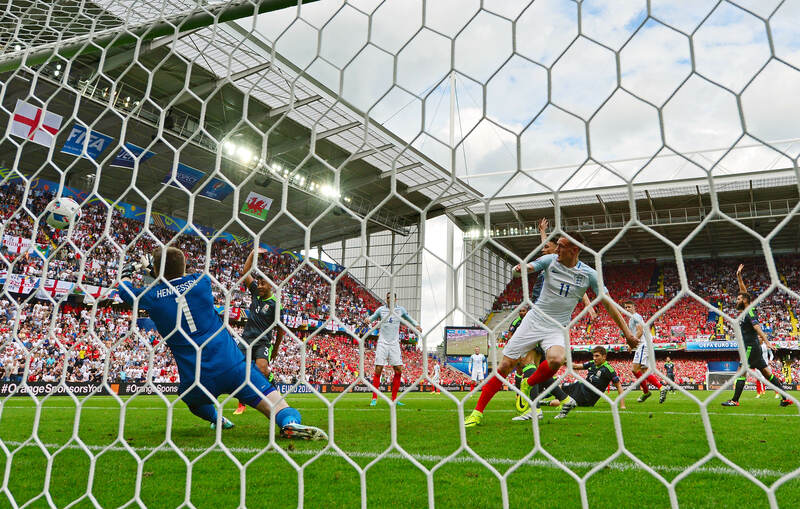 Jamie Vardy has revealed that occasional cans of Red Bull, nicotine patches and an aversion to gymnasiums are behind his astonishing rise to footballing prominence which reached new heights with a key equaliser in England’s Euro 2016 win over Wales on Thursday. Roy Hodgson’s side came from behind to win 2-1 in Lens, with Vardy coming off the bench to level the scores in the second half and take his tally of goals for club and country over the last 12 months to 28. But Vardy, who finished as the Premier League’s second highest scorer in 2015-16 in a Leicester City which recorded a surprise league title win, has admitted turning to energy drinks rather than weights in his quest to find his perfect preparation for big matches after being spotted with buying Red Bull and nicotine patches recently. “It’s just something I’ve always done and I’ve checked with the medical team and there’s nothing wrong with them,” Vardy told reporters. He added that he is an infrequent visitor to the gym compared to many team-mates, even though clubs have encouraged him to hit the weights in the past. “Yes, they’ve tried but they’ve not succeeded! When was the last time I lifted a weight? Probably that can of Red Bull the other day!” he joked. Vardy now hopes to start England’s final Group B fixture against Slovakia in Saint-Etienne on Monday, which they will need to win to assure top spot in the first phase. But he insists that he’s not frustrated at having been left out of the starting XI by Hodgson in the first two matches in France. “That’s up to the boss. The boss picks the team that he thinks can get the result, simple as that. It’s up to me to put the extra effort in in training to try and dislodge that. I’m happy either way. The 29-year-old was the subject of an approach from Arsenal before the tournament began, but he insists he is 100 per cent focused on Euro 2016 for now and the transfer talk has not been difficult to shut out.